Home » A New Endeavor! I have been wanting to start a cooking blog for years now, I’m so excited to finally be taking this leap! I guess I should start by introducing myself. 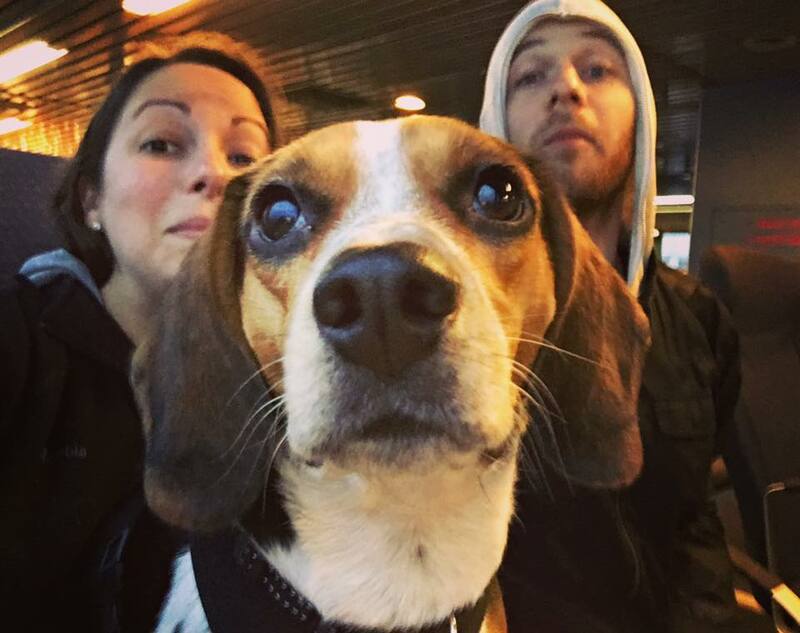 I’m Talia, and I live in Manhattan with my fiancé Alex, and our beagle Lucy. When I was a kid, I started baking and cooking with my mom. She and I made the perfect team–I was a great baker and she was a great cook…and I would happily say that I was a terrible cook and vice versa for my mom. Sorry mom who is definitely reading this… I didn’t understand how her recipes would say add some garlic and cook until done. With a baker’s mind, I couldn’t wrap my head around the inexact science that went into her staple dishes. It seemed laughable to imagine adding some eggs and going about my guesswork to create a cake. Anyway, I studied Hospitality Administration at Boston University and after taking a few of the cooking classes there, became a Teaching Assistant and continued my love for the kitchen. BU Hospitality requires all students to complete two 400 hour relevant work experiences, so off to the kitchen I went. I spent one summer working as a Prep Chef at Abigail Kirsch Catering in Westchester, NY, and the next summer as a Pastry Extern at Chanterelle in New York City, under Kate Zuckerman. These were both INCREDIBLE experiences, and gave me so much more confidence and skill in the kitchen, and the perspective to know that while I loved baking, I really didn’t want to pursue it as a career. After graduation I began work as an Event Planner and have been in that part of the industry ever since. Well into my 20s I would still have said I didn’t know how to cook. It wasn’t until Alex and I started dating in 2013 that the other half of my brain kicked in. I had all of these random domestic urges to feed him–maybe his mom subliminally implanted that..who knows. Anyway, I kept baking for him and would spend all of this time baking, order take out, and then eat the baked goods. It was sort of a broken system. Now for the real truth. About 6 months into our relationship something terrible happened…football season began. All of the sudden this sweet man who I’d known became an angry, tv-assaulting, ogre. The worst part was he had a subscription to NFL RedZone which deprives people like me with the one reprieve of Sundays…commercial breaks. With no commercial breaks in sight, all I had was 8 uninterrupted hours of ogre. I needed to figure out an alternative to sitting on the couch during ogre time, and I funnily enough, found it in the kitchen. I’m so excited to finally have this blog up and running! I hope you like what’s to come! !